This Gated Community with views of the famous Whale's Tail Beach and Ballena Island is walking distance to the paved Costanera Coastal highway and town of Uvita. This puts you less than one mile away from banks, restaurants and supermarkets, including the main street of Uvita! The home located within this gated community is a comfortable Single Level Dutch-Indonesian colonial style. It is situated at an altitude of 250 ft, causing the Pacific breeze to cool off the house adequately. This also provides stunning 190 degree Ocean views; close enough to the beach to hear the waves breaking in the night. Built in 2009, the home features solid construction, with first class materials (durable timber). Also there is the provision of 10.000 sqm of usable/buildable and titled land (2.5 acres), subdivided in two 5000 m2 fincas. This is plenty of space to make any kind of extensions one may want or need. The home itself as a living area (thatched) of 220 square meter and Rancho, with a wide angle view. Hosting 3 bedrooms and 2.5 bathrooms, with well designed terraces around the home. A 2 level infinity pool (5 x 12 meter + 3.5 x 3.5 meter ) leveled terrace is the perfect outdoor retreat. The home is surrounded by primary forest (IDA), with a high degree of privacy. This allows for the enjoyment of an abundance of birds and wildlife. The community is very secure, with a guardhouse and gate located at the end of a private road, providing 24 hour security. 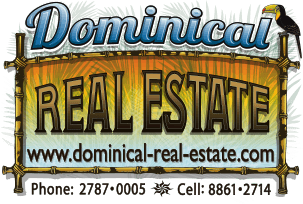 There is additional luxury 5,000 m2 Lots available for $129,000 to $175,000 within the community!